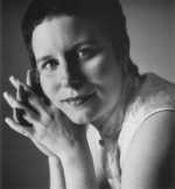 Mary Sue Twohy's smooth vocals dancing above subtle, expressive guitar garnered her a 2000 nomination for Contemporary Female Folk vocalist, and 1999 Best New Artist Award from the Washington Area Music Association. Azalea City Recordings, Carroll Street presents The Risk Involved, Mary Sue's second recording effort, produced by Pete and Maura Kennedy. Training Butterflies, Mary Sue's debut, as produced by Pete Kennedy and has gone to 2nd pressing. Mary Sue has shared the stage with Ellis Paul, David Massengill, Amy Fradon, Monty Delaney, Michael Jehrling, Silk City, Eddie from Ohio, Lisa McCormick, Vyktoria Pratt Keating, Teddy Goldstein, The Kennedys, Ruthie and the Wranglers, Terri Allard, and Darryl Purpose. Mary Sue runs a monthly open mic, has hosted packed house concerts, and for years assisted the Takoma Park Folk Festival as stage manager and Program Committee member. Mary Sue has stage managed at Pfister Pfest, Flat Rock Music Festival and Country Roads Folk Festival as well. Mary Sue has served as a song contest judge for the Mid- Atlantic Song Contest sponsored by the Songwriters Association of Washington. She also presents workshops at festivals and conferences called, "Making your Dreams at Night become a Reality by Day: Music Promotion Workshop."